The colorful duo, who were married for two years, confirmed the split in a statement released today. 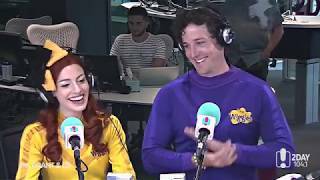 In this episode of Tea with Jules, Jules Sebastian sits down for a cup of tea with Emma and Lachy from The Wiggles. 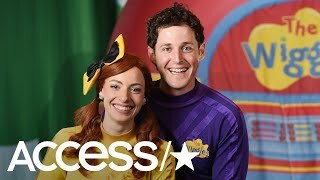 They each share their story on their entry into becoming Wiggles and how they fell in love! 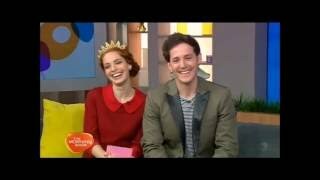 These two are as lovely as they seem - hope you enjoy this wiggly fun! Drop that hot potato and let that spaghetti get cold. 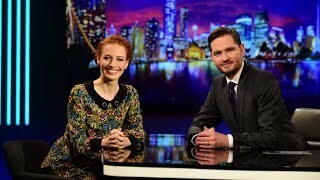 Emma Watkins, the Yellow Wiggle is on #TheWeekly! 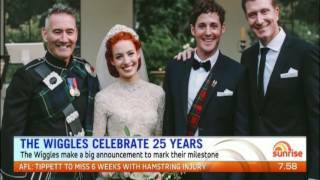 The Wiggles have been encouraging youngsters to get up and get moving for nearly 30 years. The children’s music group was co-founded by Anthony Field, also known as the Blue Wiggle, in Australia. 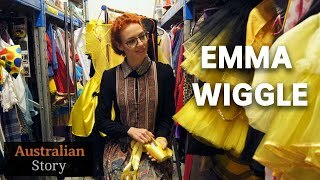 When three of the original members retired in 2012, Emma Watkins donned Yellow as the first-ever female Wiggle, while Lachy Gillespie took over as the Purple Wiggle and Simon Pryce became the Red Wiggle. The Wiggles have sold more than 30 million DVDs and CDs, and 8 million books. As the way children consume entertainment has evolved, the group has made a point of ensuring that they are accessible wherever kids are. They are on air daily in 58 million homes across the U.S. on Universal Kids, and their YouTube channel has reached over 350 million views. 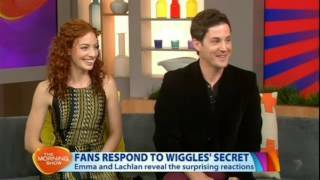 Plus, Wiggle, Wiggle, Wiggle, the group’s latest TV series, gave life to a live show of the same name, for which The Wiggles have toured Australia and North America. Field, Watkins and Gillespie recently sat down with TV Kids to talk about the brand’s enduring success and the new feel of the group. As the original Wiggles enjoy their Farewell Tour, a new crew prepares to take over in January 2013. 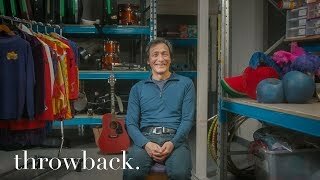 Greg Page, Murray Cook and Jeff Fatt head for retirement while replacements prepare a fresh start. 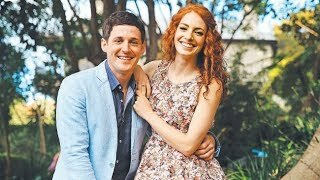 Simon Pryce, Emma Watkins and Lachy Gillespie are eager to jump on board the Big Red Car with remaining blue Wiggle, Anthony Field and that crazy pirate, Captain Feathersword. 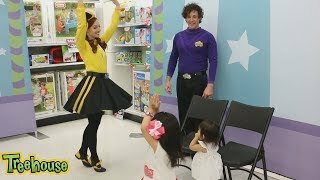 The entire new Wiggles cast joins Fitz Koehler of Fitzness.com for an exclusive interview. See a huge photo gallery and full feature visiting http://www.fitzness.com/blog/meet-the-new-wiggles/. 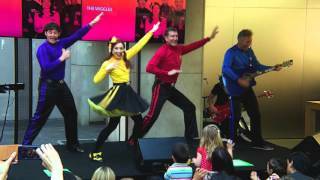 The Wiggles perform at the Apple Store in Sydney to mark their 25th Anniversary. This performance includes a 20 minute set and an interview at the end. 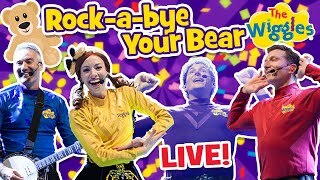 We sat down to chat with Emma, Lachy, Simon and Anthony - The Wiggles - in Toronto, and they even performed a couple fo songs for us: "Say The Dance, Do The Dance" and "Fruit Salad". This was a little sound mixing experiment I decided to try just in time for Christmas! 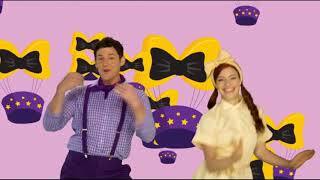 This is a mixing of two versions of a song by The Wiggles known as "Wake Up Jeff/Lachy". The first version performed by the original line-up (Murray, Jeff, Anthony and Greg) comes from the 1996 album of the same name. The second version performed by the second line-up (Murray, Jeff, Anthony and Sam) comes from the 2009 cable programming block “Sprout’s Wiggly Waffle”. The third version performed by the current line-up (Anthony, Lachy, Simon and Emma) comes from the 2013 album "Furry Tales". P.S. My apologies for the poor quality of the Sam version. It was the best I could do. 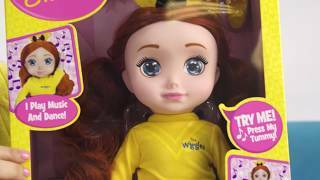 In this episode, Nat and Chloe unbox the Doll of the Year, awarded by the Australian Toy Association. The Emma Ballerina Dancing Doll will be the must-have for anyone who loves The Wiggles, ballet - and Emma, of course! Nat and Chloe point out all the doll’s special features. Press down on her tiara and the inbuilt music prompts her to pirouette on her toes. She can raise her leg and spin. Her head “spots” while spinning, just like a real ballerina! She can do the splits and kick her legs both forward and backward. She moves gracefully on the tips of her toes too, perfectly on pointe! The Emma Ballerina Dancing Doll is on sale from TODAY! This is a little sound mixing experiment I decided to try. 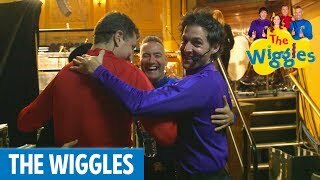 This is a mixing of two versions of a song from the current iteration of The Wiggles called "The Highland Fling" The first version sung by Purple Wiggle Lachy Gillespie comes from the 2016 album "Dance, Dance!" 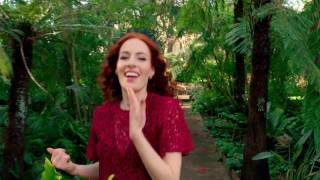 The second version sung by Yellow Wiggle Emma Watkins-Gillespie comes from the 2017 album "Nursery Rhymes" I must admit that while I had my misgivings about a female wiggle, these two are just so cute together you can't help but love them and sense the love they have for each other.